CHILDREN at a new theme park here will get to try out "jobs" as a candy specialist at a Sticky candy store or a food scientist at Abbott Milk Innovation Lab, or go on air as a radio DJ with Kiss92. These are several of the over 80 "jobs" on offer when theme park KidZania, a "city" scaled down to a child's size where children can role-play life as an adult, opens on Sentosa in the second half of the year. The city has its own national anthem, economy, paved streets, buildings, and recognisable destinations sponsored by and named after leading brands. Children earn KidZo dollars, the city's currency, and can spend the money at places such as a real convenience store in the park. Adults can also enter the park, but they cannot take part in the role-playing. Other jobs on offer at the 7,600 sq m park, the size of six Olympic-sized swimming pools: an owner of a 7-Eleven convenience store, a mountaineer at Camp Challenge, and a dentist at the Sunstar Dental Clinic. 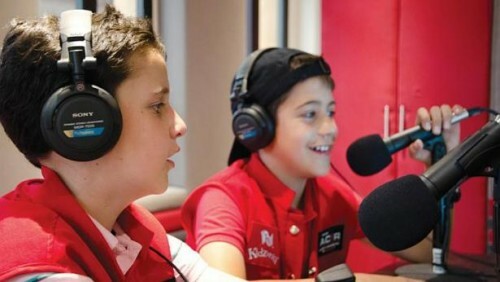 "We have met many kids at Kiss92 events who have shared that they want to grow up to be a radio DJ and our studio in KidZania would be a perfect starting point for them," said Mr Sim Hong Huat, SPH Radio's general manager. "The team made a trip to KidZania in Kuala Lumpur and were impressed by how engaging and immersive the whole experience is for kids." KidZania Singapore, a Mexican franchise brought in by Malaysia's Themed Attractions and Resorts, is targeted at children aged four to 14. Ticket prices are being finalised.